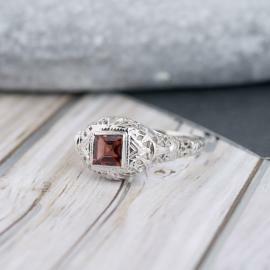 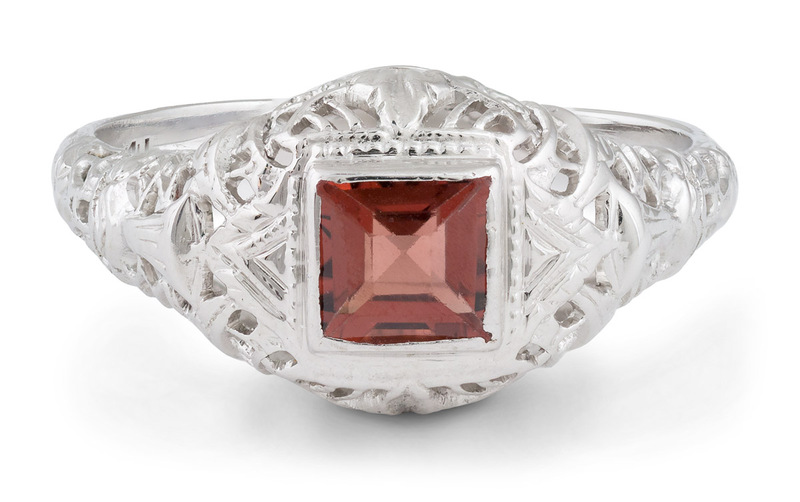 A stunning vintage solitaire ring with a Garnet center stone. 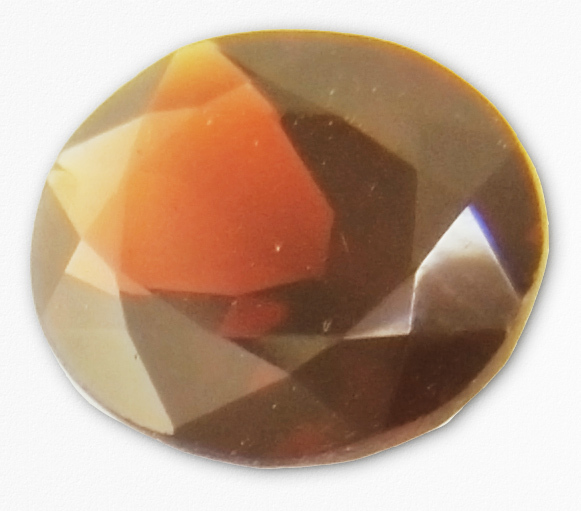 The stone is a lovely red color, with the brown and orange tinted undertones often seen in Mozambique Garnets. 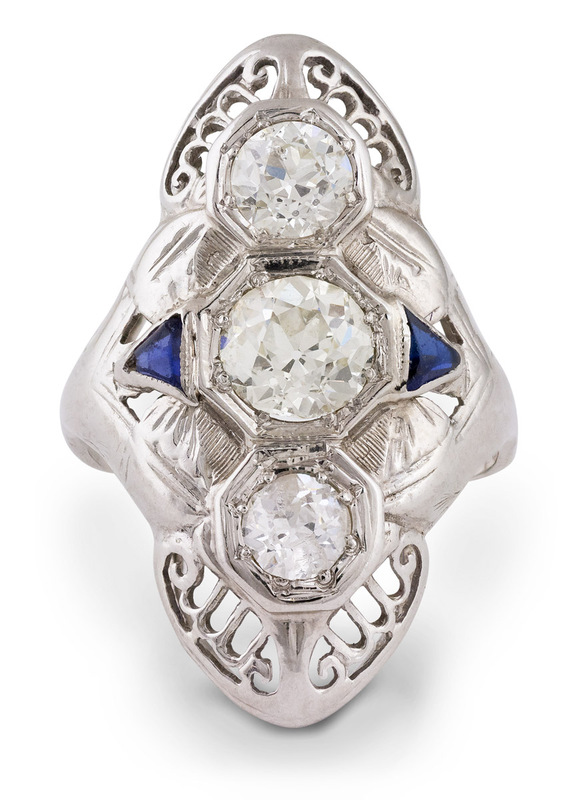 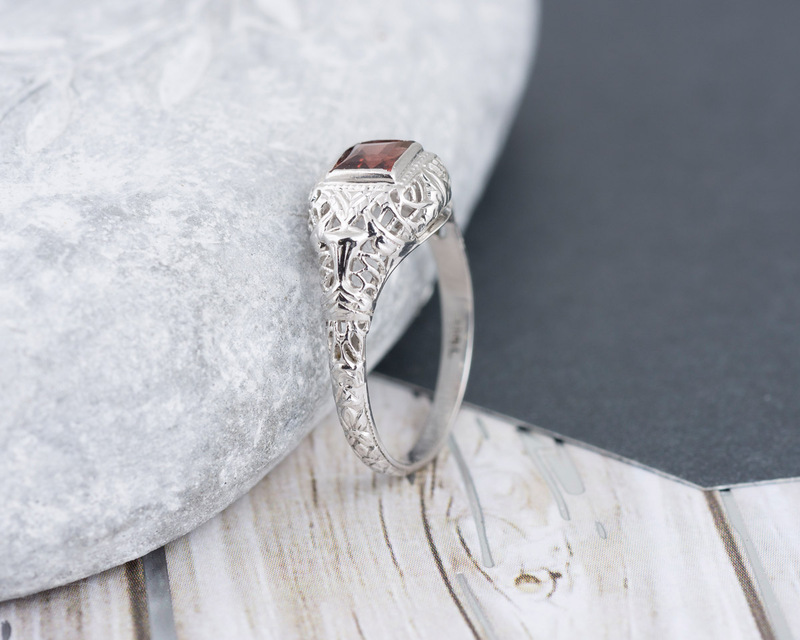 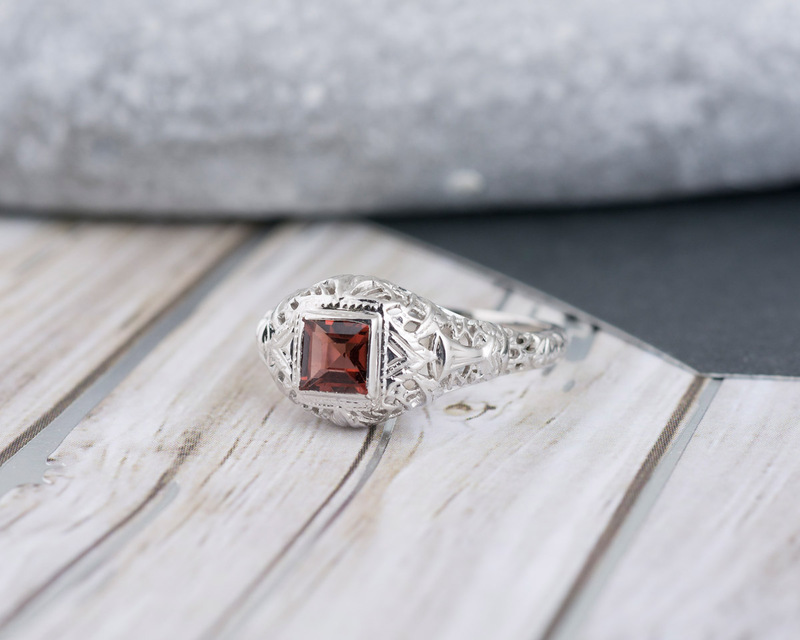 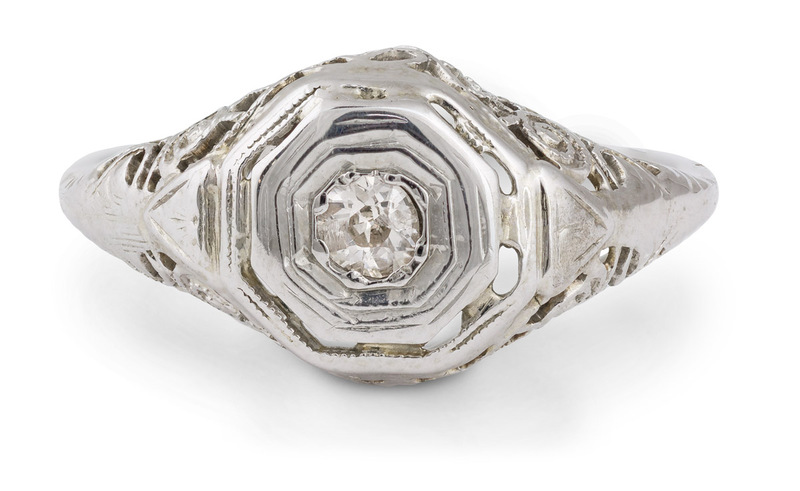 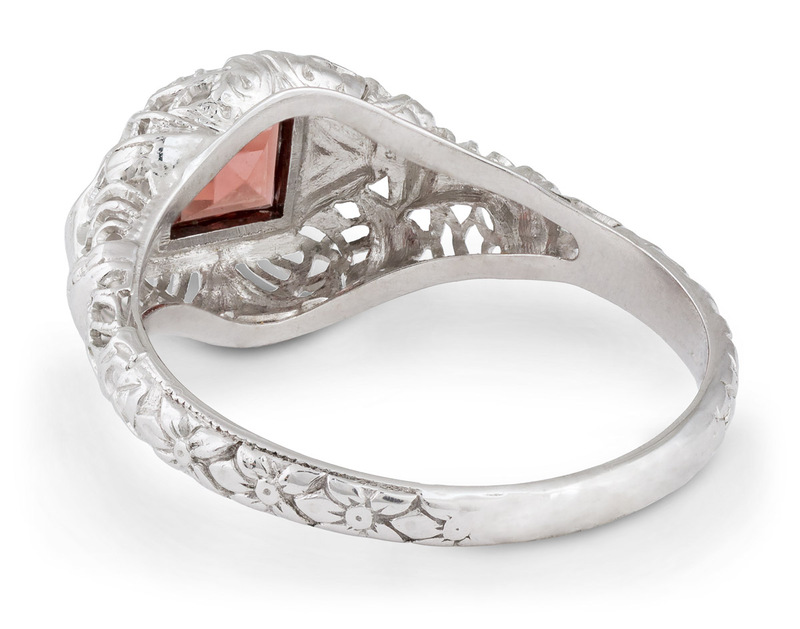 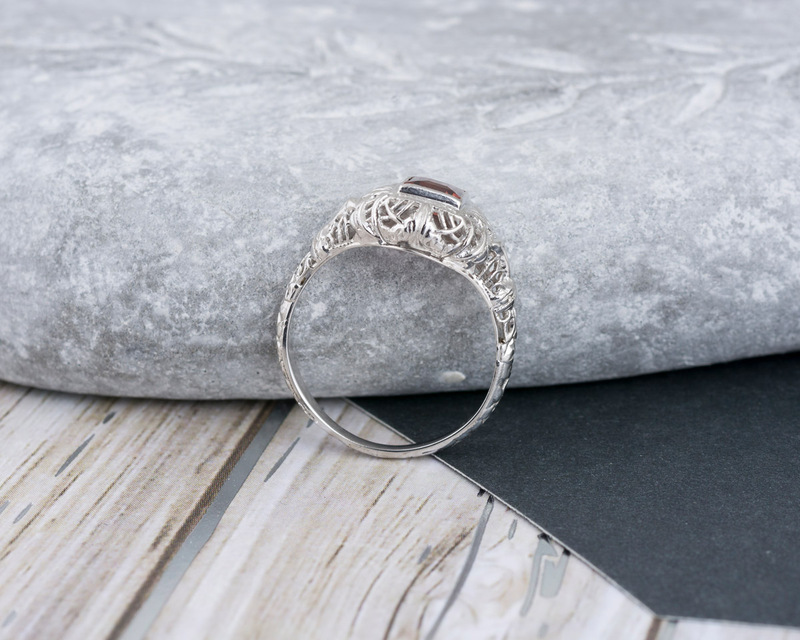 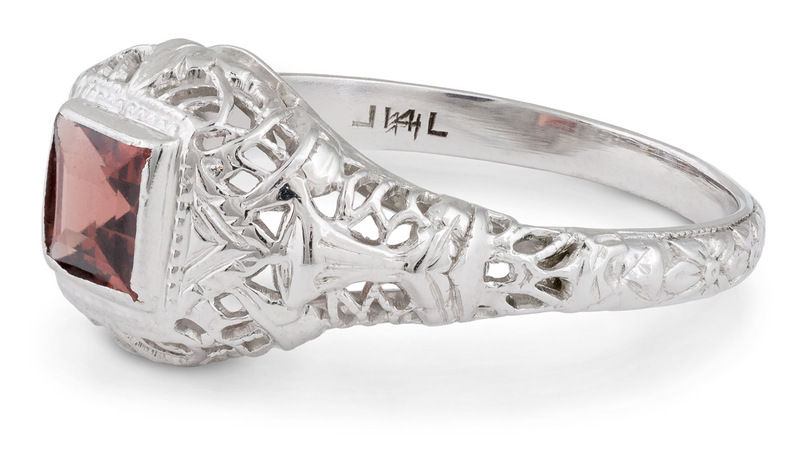 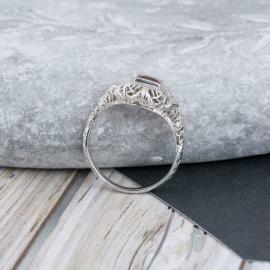 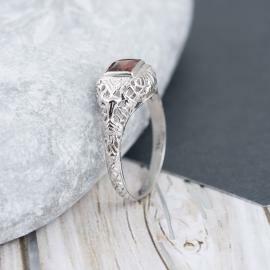 Intricate filigree designs cover the whole top half of ring, and floral engraving accents the remainder of the shank. 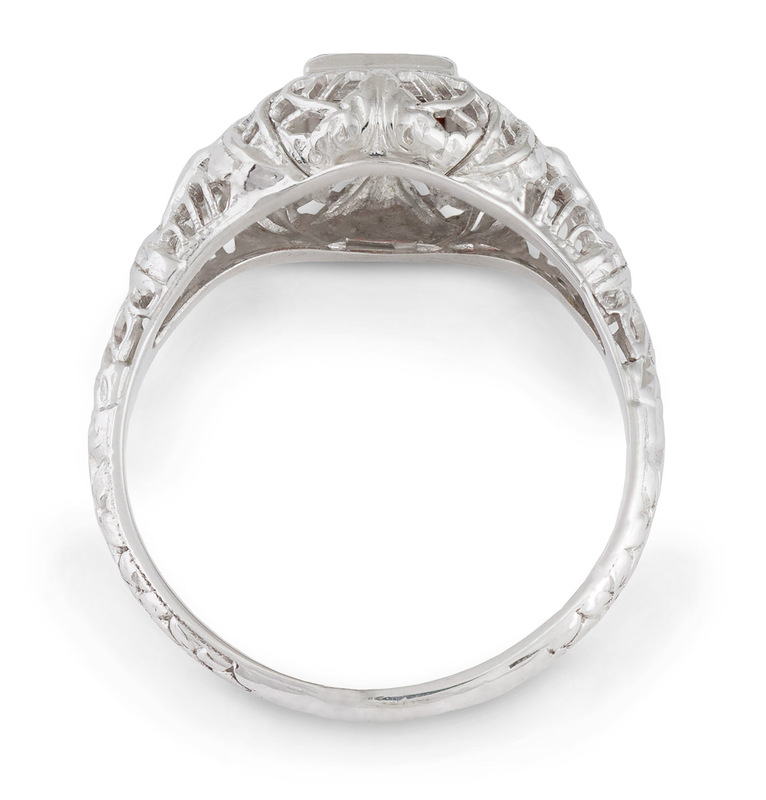 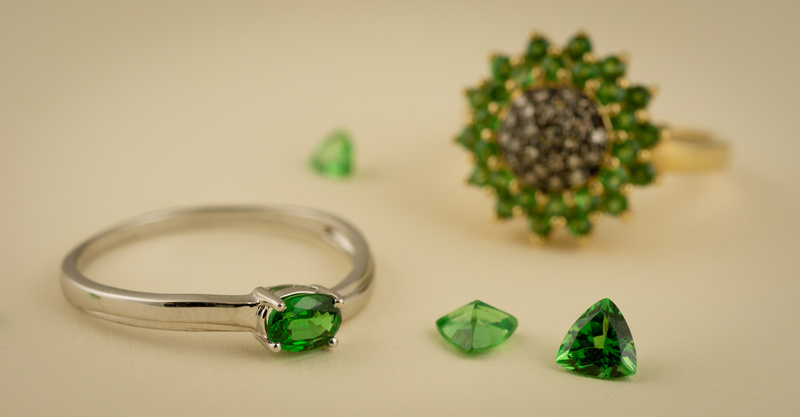 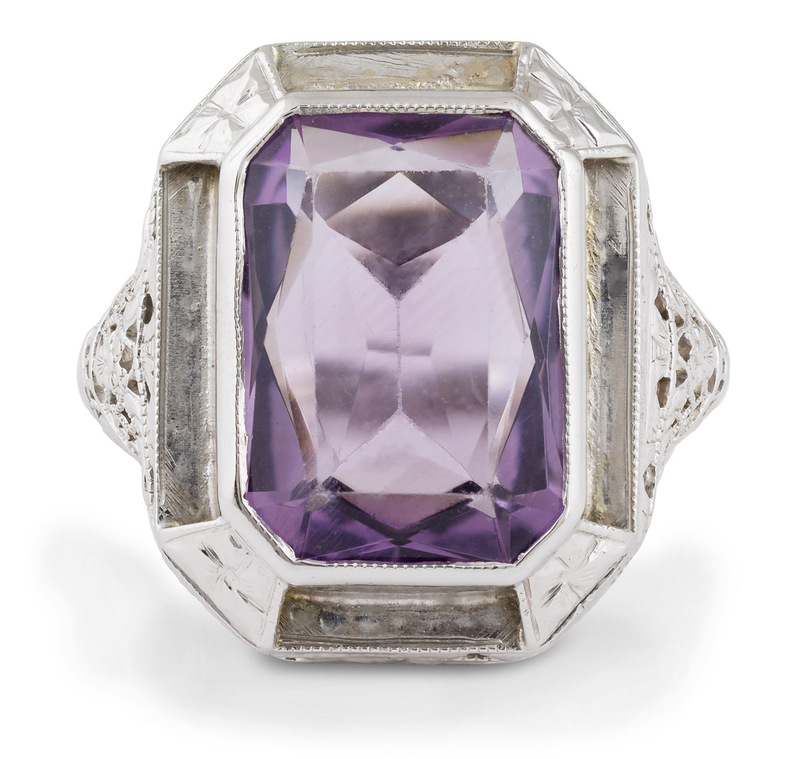 This ring exudes elegance and charm.